This beef stir-fry is perfect for a cold winter’s day! There are a lot of ingredients but the recipe is actually pretty simple. Just slice, stir-fry and simmer! I reconstituted the dried mushrooms by soaking them in hot water for around 20-30 minutes, until softened, then chopped and set aside. I heated the oil in a preheated wok (you can also use a large saucepan) at medium-high heat and added the garlic and ginger. 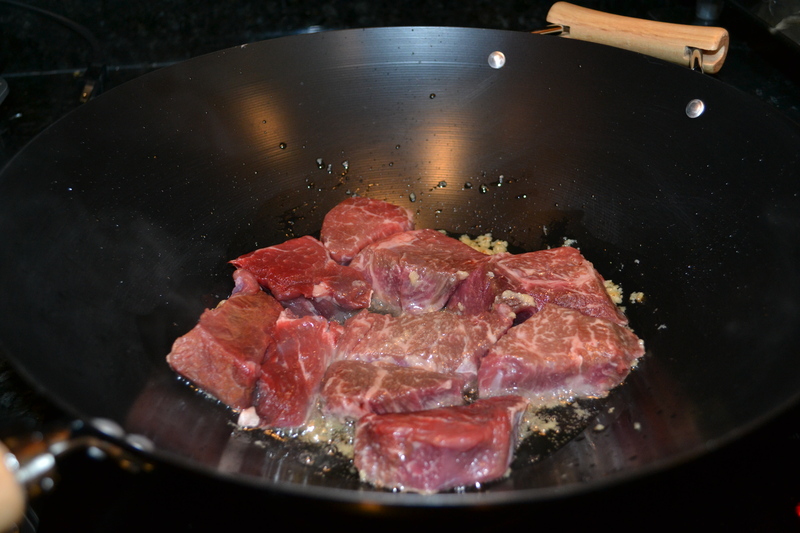 I stir-fried until aromatic then added half of the beef to the wok. I browned the beef briefly then cooked until around 80 percent cooked. I drained the mostly cooked meat and repeated the process with the remaining beef. 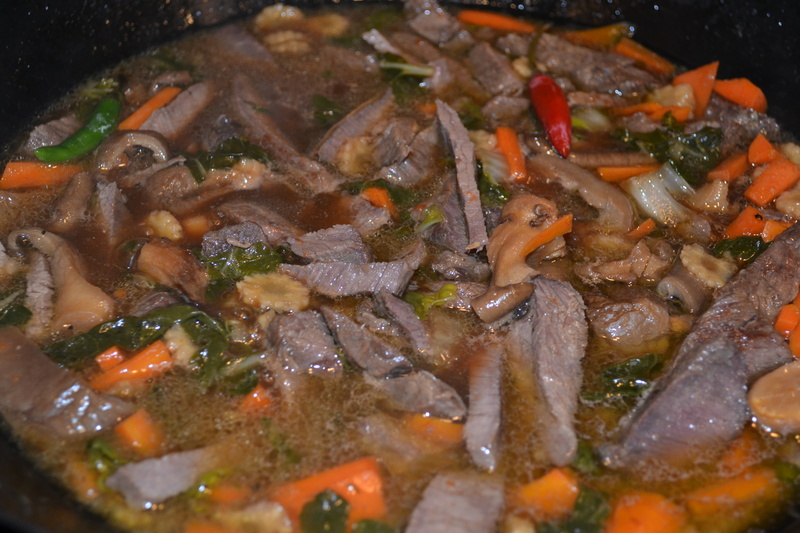 You will notice in my pictures that I forgot to slice the beef before cooking it in the wok. I highly suggest not following my lead. Please slice your beef before beginning to cook. I had to slice mine (actually, my dad sliced it) later on in the process. 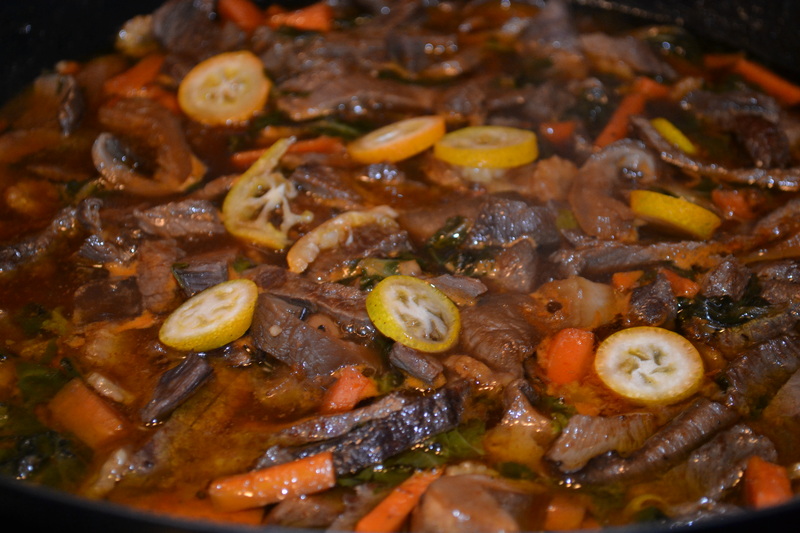 I added the baby corn, mushrooms, carrots, 1/2 of the bok choy and kumquat and simmered for at least another hour. I added salt and pepper to taste. Right before serving, I add the rest of the bok choy for extra crunch and stirred to combine. 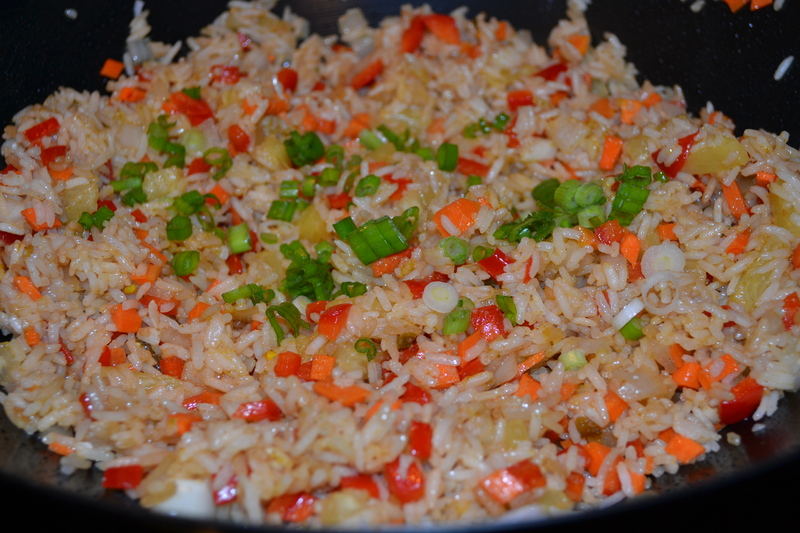 This is a very simple and easy rice dish and can feed up to 10 people. You can cut the recipe in half for a weeknight meal. I heated the wok on medium, added the oil and rotated the pan sot hat it coated the bottom and sides. When the oil was hot, I added the garlic, ginger and jalapeno and stir-fried for 30 seconds. 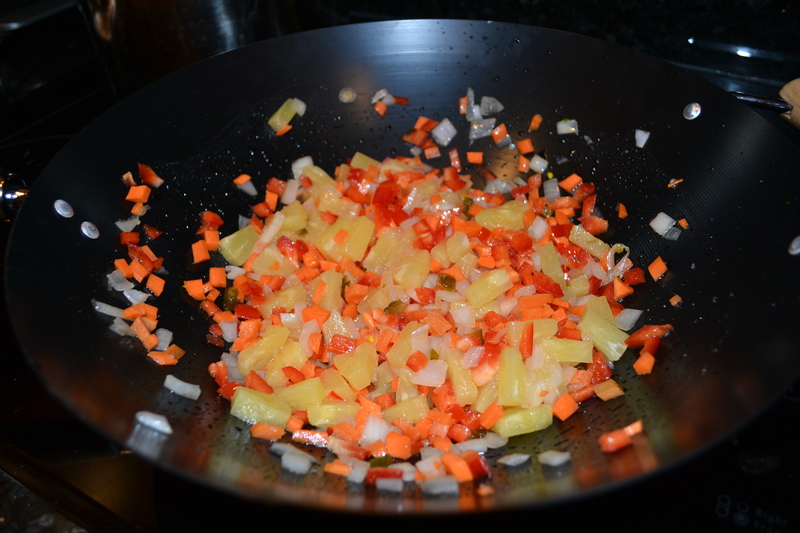 I added the onion and stir-fried for 1 minute, then added the red bell pepper, carrots and pineapple and I stir-fried very briefly. I added the rice and cooked for another 2 minutes, continuously tossing. I then added the soy sauce and the whole mixture took on a beautiful color. I stirred in the curry powder and sugar, then added the green onion. Done! See, wasn’t that easy?!? This stir-fry is even easier than the rice and just as delicious! I heated the wok on medium, added the oil and rotated the pan sot hat it coated the bottom and sides. When the oil was hot, I added the carrots and stirred occasionally. I then added the onion and stirred again. 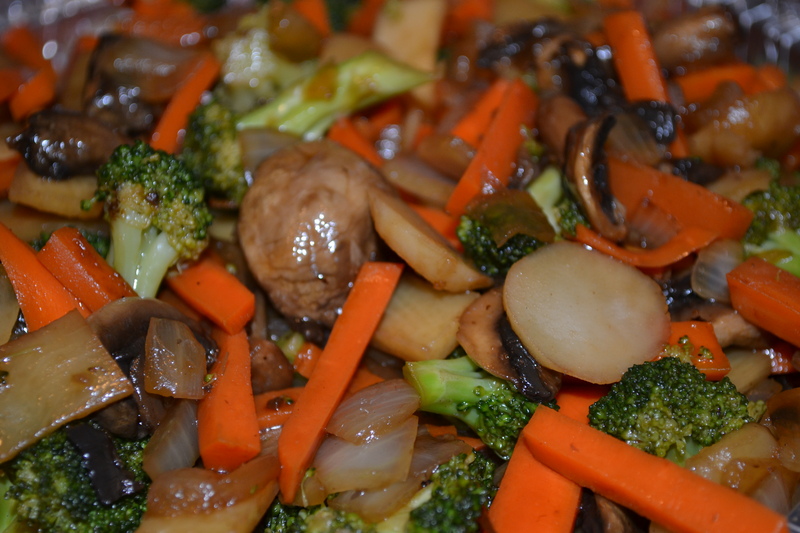 I added the broccoli and continued to cook for a few minutes, then added the sliced mushrooms and stirred. I raised the heat to high and cooked the vegetables until tender but still crisp. I added the water chestnuts, bamboo shoots and stir-fry sauce and mixed well until the sauce was slightly thick, around 1 minute. So there you have it. My Shanghai menu! 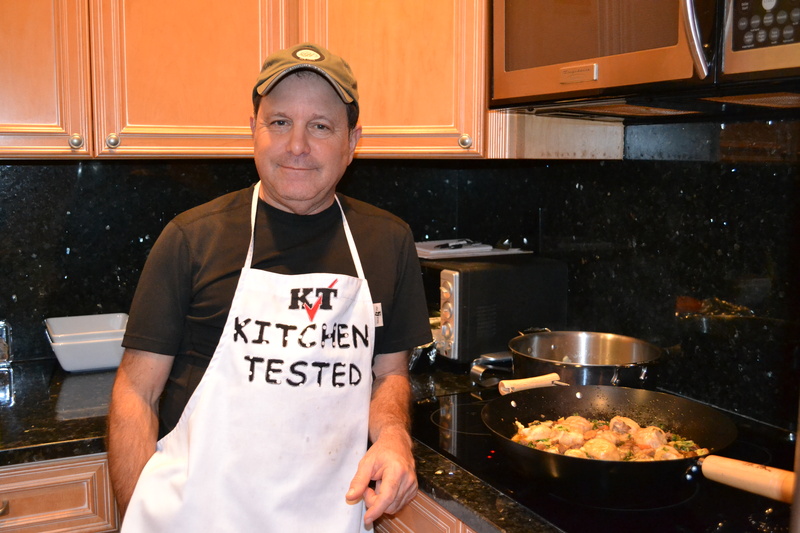 I hope you’re inspired to be adventurous in the kitchen at your next Book Club meeting, or even just fun!